Hey -what happened?! Did anyone notice other than us? December came and went before we could post any news at all. Thank you holidays! Apologies to anyone who might have been checking these page hoping for some kind of news from ComboPlate headquarters. We will do better in 2007! Carolyn Wonderland was our absolutely wonderful Kitchen Concert volunteer. Her songs and her generosity inspired us this holiday season. We thank you dearly Carolyn! It’s well into November as we post this. Ahhh …. behind as usual, it’s so comfortable, so familiar. A little too familiar if you ask us, therefore we are still looking for volunteers/interns to help out and keep us up to date. Call or email Laura if you’d like to learn more. Patrick Conway was the Friday Kitchen Concert volunteer this month. Everyone had a good time, and we were very impressed that Patrick contacted us just a month after moving to Austin from Hawaii. Aloha and Howdy Patrick! And thanks for bringing your fiddling friend Chris. Tour news this month…. AJ and Nels will be touring the UK, Ireland and The Netherlands – they’ve named their tour the Duct Tape and Whisky Tour. Laura wants them to bring her a bottle of scotch…. Ana will be on the west coast supporting the Be Good Tanyas on several shows – be sure to check her schedule… Michael will also be on the west coast for 2 weeks, he will get to play in front of his friend Kevin Welch on a couple dates. Kevin Carroll w/Mike Meadows are the volunteer musicians this month at Caritas Community Kitchen. We truly appreciate them filling in last minute for another artist we were counting on who seemed to have disappeared. Hmmm. Thanks guys for being there! Michael, AJ, Nels and Laura will be attending the Americana Music Conferenece in Nashville, September 20-22. Laura and Marie with Rough Neck Music will be on a tour panel, and they will be launching their new effort, the Rough Combo Collective. Rough Combo Collective is an organization for indie booking agents and their artists, providing the opportunity to network, share ideas, information, resources and support each other along the way. Come by our booth at the AMA trade show and say hello! Austin super group – The Band of Heathens – are the musical guests for the Friday Kitchen Concert this month. With so many invidual artists in the band, we are calling it our own Austin City Soup Fest, bringing the best music to the clients of Caritas. starting in West Texas and travelling all the way to Seattle and back. Check out their web sites for details and dates, and go to a show or two. The Towers are a terrific rock band, we love them! Nels Andrews makes the news again…. Nels was a finalist at the Falcon Ridge Folk Festival Emerging Songwriters showcase last month, and later this month he will be performing at Mountain Stage’s New Song Festival. Go get ’em Nels! Camero Jones is our Friday Kitchen Concert Volunteer this month. Thank you Camero for reaching out to us, we are looking forward to your hearing your songs! Big roster news from last month – Nels Andrews won first place at the Telluride Troubadour competition. Congratulation Nels… what a great honor to add to your previous Kerrville New Folk Winner honor!! We are so proud of you! The Friday Kitchen Concert Volunteer for July is going to be Shelley King. We are truly looking forward to hearing all of her wonderful original soulful songs. In case anyone is interested, there are a few ComboPlate Booking Tshirts left over from the roster party earlier this year. Email Laura if you think you might be interested in purchasing one. They are just $15 and feature the very fun waitress logo. A big explosion is about to happen at ComboPlate Booking headquarters – it looks like well more than half the roster is releasing new records this year…. if you’d like to be an intern or volunteer w/the agency, please call Laura, she would love (and needs) the help. Nels Andrews has been chosen as a finalist in the Telluride Troubadour competition – wish him luck as he travels to Colorado mid month! The band Rokkatone will be this month’s Kitchen Concert volunteer. We haven’t had a full band play one of the long Friday concerts in awhile, it’s going to be fun! Thanks guys. Eric Hisaw hits the road with his new record… he will be in the Midwest and plains states for the first time, and somehow he managed to work New Mexico into the run. Imagine that! Matt the Electrician heads out west on a tour supporting Bob Schneider, they will start in Lubbock and go all the way north to Vancouver. Check each artist’s web sites for more specifics. Walter Tragert was this month’s Kitchen Concert volunteer… but Caritas had a mix-up with their schedule, so Walter did not get to play. ;( We look forward to rescheduling with you, Walter. A big huge thank you to everyone who made SXSW week such a success: All of the SXSF artists who played the soup kitchen, the local businesses who donated for the raffle (see March for the list), Guero’s for hosting the roster party, friends who volunteered at SXSF and the roster party, everyone who came to the roster party, and my incredible artists who played the party – thank you everyone for helping $ for Caritas of Austin soup kitchen and food pantry!! Eric Hisaw has a new record, “The Crosses”, which is out this month. He will be playing regional CD release shows this month and next month he will hit the road. Go get your copy of the record now! We love it. 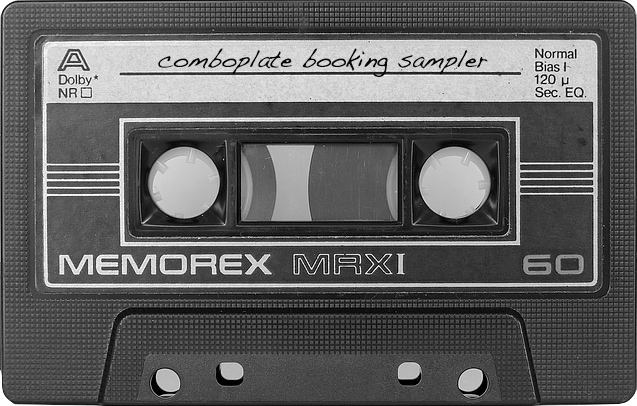 Lots of ComboPlate Booking artists on the road this month…. Michael Fracasso will be supporting Patty Griffin on her April tour – they will be in KY, MI, PA, NY, CT, ME, NJ, MD, DC/VA, NC, MS. Moonlight Towers will be in the Midwest and South again, and Beaver Nelson & his friend Mike Nicolai will be on a Midwest run. If the Towers and Beaver & Mike pay attention while driving – they might see other on opposite side of the road. Who knows, maybe they will meet at a truck stop for coffee. Laura thinks they should! Also, Ana Egge will be playing 6 shows in the UK, she is excited to return there. Please look at each artist’s site for more details. Hooray! It’s March and we are looking forward to SXSW this year more than we have any other year. Things feel good and we can’t wait to see everyone… the locals, family, old friends and new friends. Please be sure to visit individual web sites of each artist as even Laura doesn’t know what everyone is up to during SXSW week. Not open to the public, but worth noting, ComboPlate Booking will also present a 3 day musical showcase March 15/16/17, South By Soup Fest, exclusively for the clients of the Caritas Community Kitchen. This will be our 5th year for SXSF, and every year we are blown away by the artists who sign up to volunteer their talent. A huge thank you to all of those who’ve signed up for being so willing, we can’t wait to see you! Milton Mapes will be on the road supporting The Cowboy Junkies for eight shows, appearing in Texas, New Mexico, Arizona and Colorado. If you are in Austin, drop by their February 15 show at Room 710 and wish them good luck on their tour! The 18th Annual International Folk Alliance Conference to town. We are very excited about the conference being held in our fair city. Nels Andrews, Ana Egge, Michael Fracasso, Nathan Hamilton, Matt the Electrician, Beaver Nelson and A.J. Roach will all be showcasing around town February 9-13. Please check their web sites for appearances. A few artists from the roster helped organize The Hobo Prophet Room, so you know that is going to be one of the best places to hear music Folk Alliance weekend. Laura will be moderating a panel at the conference on Sunday morning February 12, “On The Road Again: The Mamas & The Papas”…. a lively panel indeed! Later that day, Laura and fellow booking agent and friend, Marie Arsenault with Roughneck Music will be hosting a showcase at Jovita’s from 4-8pm. Folk & Roll will feature acoustic sets from Grand Champeen, Li’l Cap’n Travis, The Damnations, The Hackberries, Black Water Gospel, Ethan Azarian and the POP STARS. Come spend the afternoon with us and hear some of the best music in town, all under one roof. And it’s FREE! It’s official, Ana Egge has really moved back to town. Welcome home Ana! Every Sunday in February, Ana will be playing Flipnotics 8-10pm. And while we are on the topic of residencies… Elizabeth McQueen continues her Monday 8-10pm residency at Threadgill’s south in February and March. February’s Kitchen Concert is a double bill featuring our very dear friend Jimmy Joe Natoli and AJ Roach on February 10. Are you kidding?? Laura is too busy to listen to anything!! Moonlight Towers hits the road mid month… they will be in playing in 6 states and driving through even more. Check out their tour dates and go see them! Two members of the San Antonio band Window, Nick & Jimmy, will play the soup kitchen on January 6. Thanks for being willing to drive up north to Austin guys!